1. Unplug your refrigerator and turn off the water supply. Always make sure your appliance is unplugged before you start any repairs. Because you’re removing parts from the filtration system, you also need to turn off the local water connection. This will either be behind the refrigerator or under the sink. 2. Remove the old filter. Open the refrigerator door and locate the water filter housing near the top of the refrigerator in the back. Removing the part is simple. Twist the body of the filter clockwise until it’s loose. Then pull it down and out. Set it aside. 3. Install the new water filter. Before you install the new filter, attach the sticker that identifies the current month. This helps you keep track of when you next need to change it if the water starts to taste bad before the indicator light goes off next time. Next, remove the red top and orient the filter so the locking tabs are facing the front and rear of the refrigerator. Also, the sticker should be on the left side so you can see it when the filter is installed. Push the nozzle end up into the filter head. Then twist it counterclockwise until you feel it fit snugly into place. The lock symbol should also match up with the arrow. Turn on the water and plug in your refrigerator. 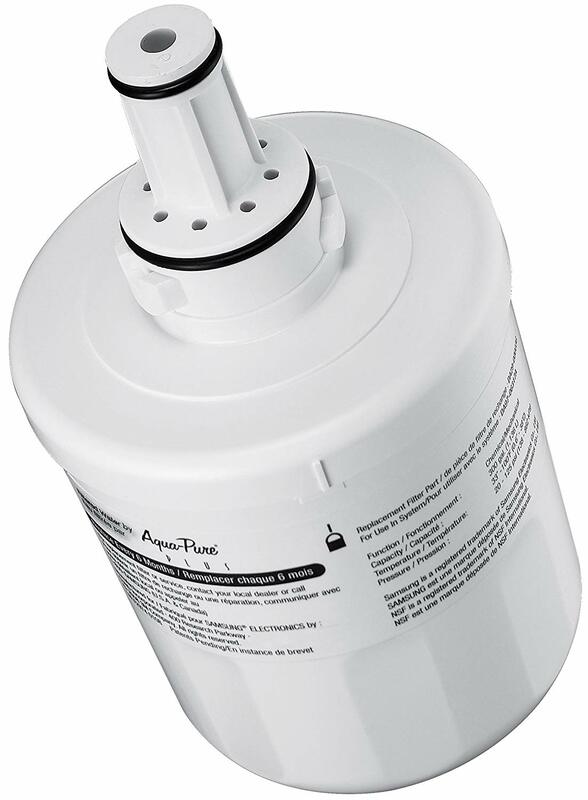 Then flush out two or three gallons through the new filter and filtration system to get rid of any buildup. Also, reset the indicator light by holding the ‘ice type’ button down for three seconds. If you have more appliance problems you want to fix, contact our team at Twin Cities Appliance.